Former Petron Blaze Boosters head coach will join Tim Cone as an assistant coaching staff in San Mig Coffee Mixers team. 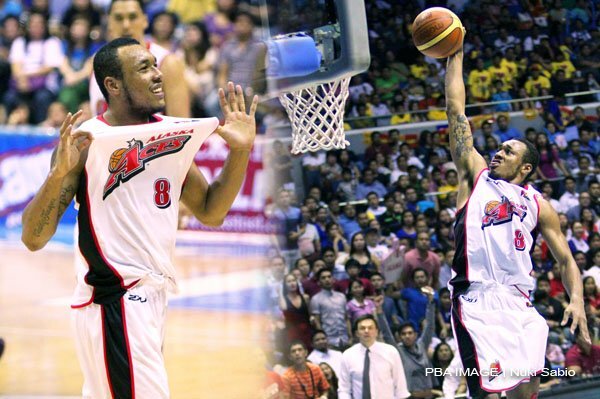 After 16 years with the same franchise carrying the San Miguel Beer and Petron banners, Olsen Racela is moving on. Olsen Racela, who was appointed coach of the Boosters before the start of the season, will join the coaching staff of San Mig Coffee, another team under the San Miguel Corporation umbrella. Mixers coach Tim Cone confirmed the news to InterAKTV. “Just got the official word that Olsen is coming to our team and Koy Banal is going to Petron,” Cone wrote in a text message. Gee Abanilla, Racela’s erstwhile chief deputy, will reportedly take over coaching chores at the Boosters. 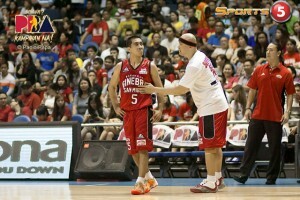 Olsen Racela spent 14 seasons as a point guard with San Miguel Beer before retiring in 2011. He was an assistant under Ato Agustin before assuming head coaching duties. Curiously, Racela returns to the same franchise where he began his PBA career in 1993. Then known as Coney Island, the Purefoods squad drafted Racela in the second round that year, making the team as a third-string point guard behind Dindo Pumaren and Frankie Lim. 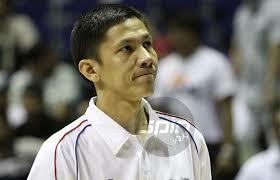 Cone also coached Olsen Racela in the Philippine Centennial Team that won the bronze medal in the 1998 Asian Games. Racela was the backup point guard to Johnny Abarrientos, who is also part of the San Mig Coffee coaching staff. Olsen Racela met with San Miguel Corporation basketball officials on Tuesday, presumably to discuss the coaching move, but offered no details about what transpired during the meeting. PBA Players from long time school rivals, Ateneo de Manila Blue Eagles and De La Salle University Green Archers will meet again for the second time in this years Blue vs Green Game. OTHER than the perceived firepower of its long-time rival, Ateneo has one more major concern going to its second annual ‘Dream Game’ showdown against La Salle Sunday at the Mall of Asia Arena. “Well, I don’t know what shape or condition our players are in,” admitted Sandy Arespacochaga, who will be calling the shots for the Blue Eagles in the 4 p.m. showcase dubbed ‘Blue vs. Green’ and features alumni of the two prominent schools now playing in the PBA. Already without three key players from last year’s roster in LA Tenorio, Larry Fonacier, and Japeth Aguilar, the Katipunan-based squad and reigning UAAP men’s champion just had the benefit of practicing together as one only last Saturday. But true to the fighting spirit of the school, Arespacochaga believes the Eagles will give the powerhouse Green Archers side a run for their money, especially with the addition of rookies Chris Tiu and Eman Monfort to their roster. “We will certainly enjoy the game, enjoy playing with one another in one team again, and give our best,” said the long-time deputy of former Ateneo and five-time champion coach Norman Black. The Eagles will again lean on a lineup built around Rabeh Al-Hussaini, Noy Baclao, Eric Salamat, JC Intal, Doug Kramer, Enrico Villanueva, Wesley Gonzales, Rich Alvarez, Paolo Bugia, and Magnum Membrere. In contrast La Salle coach Franz Pumaren is keeping his cards close to his chest, well aware he has an explosive bunch of talent right in his disposal. Other than guard JV Casio being doubtful for the game, everyone else in the Archers roster appear ready to go and duplicate their 117-104 win over the Blue Eagles in last year’s staging of the exhibition match at the Smart Araneta Coliseum. Don Allado, hero for La Salle last season, is again spearheading the team that only has rookie Simon Atkins as its newest addition. Suiting up for La Salle once more are high-scoring guards Joseph Yeo, MacMac Cardona, Mike Cortez, and RenRen Ritualo along with Rico Maierhofer, Ryan Arana, Carlo Sharma, Willy Wilson, and TY Tang. Alaska Aces defeated Barangay Ginebra San Miguel and sweep their series to bag the Commissioner’s Cup Title. 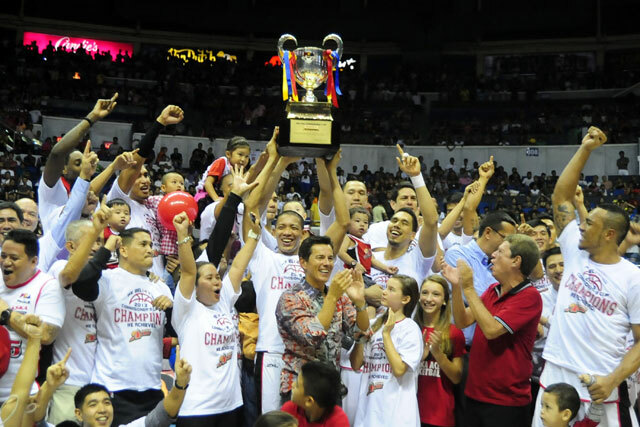 The Alaska Aces got really going as the game progressed, resulting in a 104-80 victory over the Barangay Ginebra Kings Sunday to complete a sweep of their PBA Commissioner’s Cup championship series before an all-time record crowd of 23,436 at the Smart Araneta Coliseum. Rob Dozier validated his being adjudged the Best Import earlier with gamehighs of 27 points and 20 rebounds while Calvin Abueva, Jayvee Casio and Sonny Thoss also came up with big performances in the game they wanted most to win. In the end, the Alaska Aces took just the first three games in the best-of-five duel to nab their 14th franchise title in all and the first one without former coach Tim Cone. “We were a bit lucky,” said Luigi Trillo, assistant for 14 years before assuming the helm, initially in an interim capacity, only three conferences ago. The 36-year-old also admitted he didn’t imagine it would take this quick for him to win one. “Sa totoo lang hindi,” he said. The victory also made owner Uytengsu feel like he was when the team won its first championship in 1991, five years after joining the league. “This makes me feel like I’m 24 again,” said Uytengsu, before giving Ginebra praise. 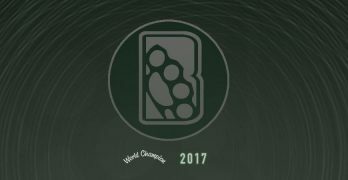 “They’re worthy opponents,” he stated. The loss is not as bitter for Ginebra as some may think. “Classic iyung dinaanan namin,” said Kings coach Alfrancis Chua, whose team got off to a 0-4 start before hurdling second-seed Rain or Shine in the quarterfinals and powerhouse Talk N Text in the semifinals, both with twice-to-win handicaps. When the Uytengsu franchise won its last four titles under Cone, the last the 2010 Fiesta Conference. Diamon Simpson was the Best Import then and Dozier showed he is a worthy recipient of the first-ever Bobby Parks Trophy. Dozier also had gamehighs of seven assists and six blocked shots, leading a balanced charge that had Abueva notching 22 points and 10 rebounds, Casio 18 points, including eight points in the fourth, and Thoss 13 points and 14 rebounds. In all, Thoss averaged 13.7 points and 10 rebounds for the series. But more than those numbers it was his excellent defense on Vernon Macklin throughout the series that made him the unanimous choice as the Papa John’s-PBA Press Corps Finals MVP. Even Ginebra’s best effort in the series, coming off 70-87 and 90-104 losses in the first two games, was not enough. It was just the eighth sweep in a best-of-five since the format was first adopted in 1993 and all because of a determined crew not wanting another game. 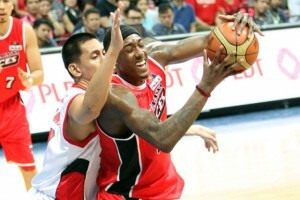 It showed in the way Alaska Aces held Ginebra to just eight points in the fourth period while scattering 33 of its own. The Aces’ defense was at its stingiest in the final 6:15, when it held the Kings to just two free throws and broke them away for good from an 84-79 count. Ginebra was a sorry sight then, going 0-for-4 from the field and committing the last of its 13 turnovers, with the split charities by Kerby Raymundo and Jayjay Helterbrand the only ones that prevented them from a complete shutout. Seemingly running on fumes, Best Player of the Conference awardee LA Tenorio still managed 18 points with Chris Ellis, Mark Caguioa and Helterbrand leading Ginebra’s one last fight. Hobbled by a badly bruised right thigh, Macklin was held to only 12 points although he did finish with 14 rebounds. ALASKA 104 – Dozier 27, Abueva 22, Casio 18, Thoss 13, Baguio 7, Jazul 6, Hontiveros 5, Reys 3, Espinas 2, Belasco 1, Ramos 0, Eman 0, Bugia 0, Laure 0, Dela Cruz 0. GINEBRA 80 – Tenorio 18, Ellis 14, Macklin 12, Caguioa 12, Helterbrand 11, Baracael 5, Raymundo 4, Urbiztondo 2, Mamaril 2, Taha 0, Labagala 0, Espiritu 0, Hatfield 0. Alaska Aces import, Robert Dozier gets first ever Bobby Parks Trophy after winning in statistics as well as media, players, and PBA votes. With 1233 points, Robert Dozier became the first recipient of the Bobby Parks Trophy, topping Ginebra’s Vernon Macklin (926), San Mig Coffee’s Denzel Bowles (644) and Talk n Text’s Tony Mitchell (515). Sheryl Reyes, the agent who represents both Dozier and Macklin, said the Alaska import deserves the plum. “Among the imports I sent, it’s him whom I don’t have any problem dealing with,” said Reyes. 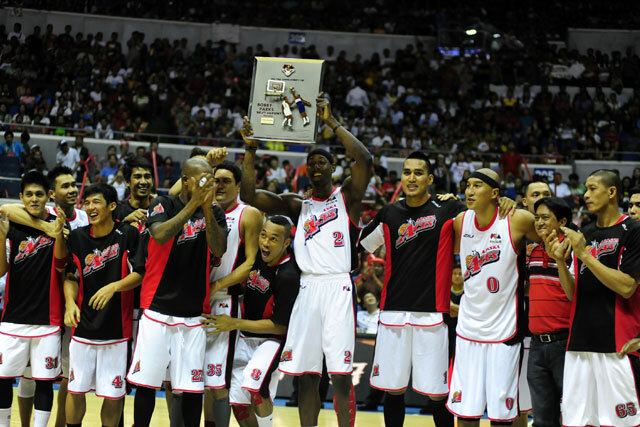 Tenorio and Robert Dozier were awarded their trophies moments before Game Three of the Alaska-Ginebra finale at the Smart Araneta Coliseum. Tenorio and Abueva ended in a virtual dead heat in the statistical points derby, averaging 28.3 and 28.5 statistical points a game. The Ginebra sentinel finished with the highest SP total of 480 points but the Alaska top freshman got a slightly better SP average on the strength of a high 150 won-game bonus points. Tenorio averaged 13.8 points, 5.0 rebounds, 5.1 assists, 1.9 steals and 0.1 block while Abueva normed 11.7 points, 8.9 rebounds, 1.3 assists, 0.7 steal and 0.7 block through the semis. Barangay Ginebra San Miguel’s playmaker LA Tenorio named Best Player of the Conference, edging Alaska’s top rookie Calvin Abueva. The 5-foot-8 playmaker out of Ateneo, a seven-year PBA veteran, pocketed a first BPC award in his second conference with Barangay Ginebra. He became the fourth Ginebra player to win a BPC trophy as he topped Alaska players Calvin Abueva and Jayvee Casio, Globalport’s Gary David and Talk n Text’s Jayson Castro for the coveted award. LA Tenorio foiled Castro’s bid for back-to-back BPC citations and Abueva’s hopes to win it in his rookie year, adding the BPC plum to his 2010 Most Improved Player award, 2010 Mythical First Team membership, 2010 Fiesta Conference co-Finals MVP honors and 2012 Jones Cup MVP trophy. Carrying Ginebra on his shoulders with Mark Caguioa sidelined by an injury, Tenorio won the balloting among players, media and PBA officials by a landslide and thus pulled away from Abueva after a tight stats derby. 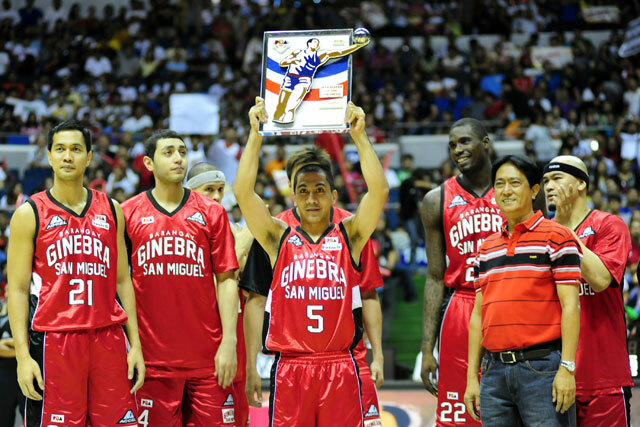 LA Tenorio totaled 1125 points to Abueva’s 861, Casio’s 514, Castro’s 416 and David’s 402 and thus became the fourth Ginebra player to win the BPC race after Eric Menk, Jayjay Helterbrand and Caguioa. Veteran Alaska guard Dondon Hontiveros had been getting chippy with Barangay Ginebra San Miguel center Billy Mamaril during Game Two of the Commissioner’s Cup finals Friday night. So when Dondon Hontiveros drew a charging foul on Mamaril early in the fourth quarter, he couldn’t help but clap in the face of the Gin Kings big man, earning him a reprimand from people on the Ginebra bench for his taunting. Later, Mamaril was seen exchanging heated words with Dondon Hontiveros from the Ginebra bench. After the game, Dondon Hontiveros admitted that the incident provoked his late explosion. The Cebuano hotshot drilled four three-pointers in the fourth quarter to douse cold water on Ginebra’s rally attempts. “Isa rin yun sa nag-trigger sa magandang laro ko. It looked like I played good defense doon sa incident na yun. I was able to draw an offensive foul sa kanya and was able to stop LA from penetrating the lane sa screen ni Billy. Kaya parang nagkaroon naman ako ng kumpiyansa,” Hontiveros told InterAKTV. But he said that he regretted his actions taunting Mamaril, who he called a friend. “I’d like to apologize to Billy and the Ginebra fans. 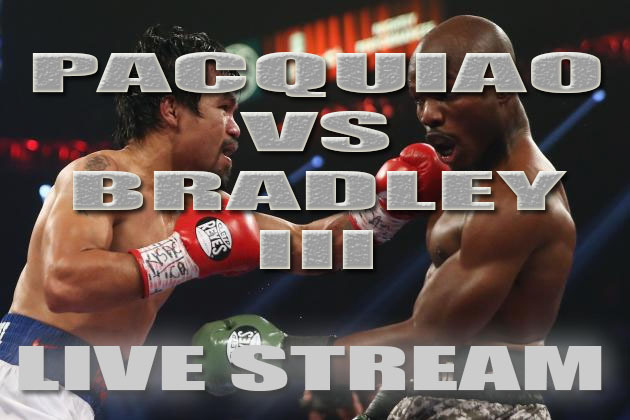 Friend ko si Billy pero I was just carried away by the physicality,” he said. Alaska Aces moves one step closer to their goal and possibly from sweeping the Commissioner’s Cup Finals against Barangay Ginebra San Miguel. The Alaska Aces took Barangay Ginebra San Miguel’s best punch before unleashing its own body blow in the second quarter to pull off 104-90 decision in Game Two of the Commissioner’s Cup finals Friday at the SM Mall of Asia Arena. Alaska Aces took a 2-0 lead in the best-of-five series, moving one win away from the 14th PBA championship in franchise history. Unlike in the first game that saw them concede a 22-point deficit in the first quarter, the Gin Kings battled the Aces from the very start, trailing by just two points after the opening period, 25-23. But Alaska Aces turned things up a notch in the second quarter, and Ginebra seemed to lose its poise as things got heated. 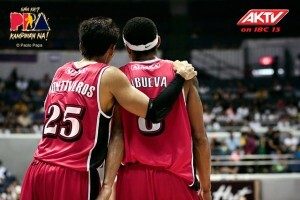 The Alaska Aces outscored the Gin Kings, 29-14, in the second period and nursed that advantage for the rest of the game. Ginebra made a late run in the fourth quarter, cutting the deficit to just eight points, 94-86, on a three-pointer by Mac Baracael. But Alaska quickly answered back with a three-point play from Sonny Thoss to put the game out of reach with 49.8 seconds left in the game. Alaska once again drew balanced scoring from its troops, with seven players scoring at least 13 points, led by Thoss’ 16. Import Robert Dozier was once again a major presence on the defensive end, pulling down 20 rebounds and blocking three shots apart from scoring 15 points. LA Tenorio tried to carry the fight for Ginebra, nearly posting a triple-double with 16 points, nine rebounds, and nine assists. But Alaska Aces held the former Ace to another miserable shooting night, as Tenorio shot just 6-of-19 (31.5 percent) from the field. “He’s their life,” said Trillo. The Alaska Aces were once again able to contain explosive Ginebra import Vernon Macklin, who scored eight points on just six shot attempts from the field. 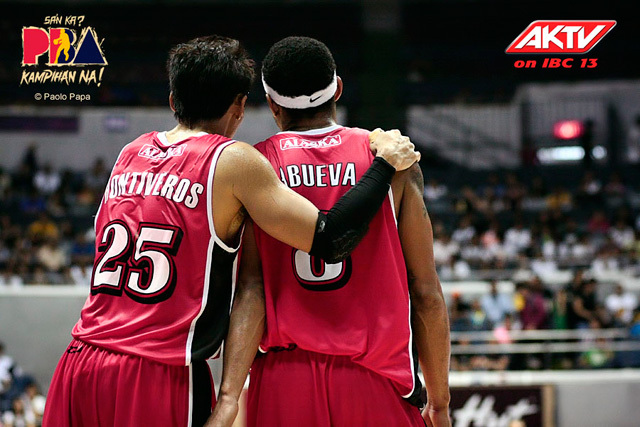 Alaska Aces has a chance to close out the series in Game Three on Sunday at the SMART-Araneta Coliseum. 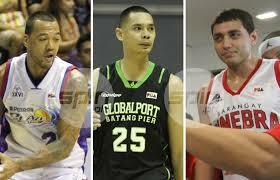 ALASKA 104 – Thoss 16, Dozier 15, Abueva 15, Baguio 15, Hontiveros 15, Casio 13, Espinas 8, Jazul 4, Belasco 3, Dela Cruz 0. GINEBRA 90 – Helterbrand 17, Tenorio 16, Baracael 11, Raymundo 10, Macklin 8, Ellis 8, Labgala 5, Urbiztondo 5, Mamaril 4, Hatfield 4, Caguioa 2, Maierhofer 0. Barangay Ginebra San Miguel playmaker, LA Tenorio more focused on tying the series than winning the Best Player of the Conference award. hat’s the only thing on the mind of Barangay Ginebra San Miguel star guard LA Tenorio. This is despite the fact that the Gin Kings court general is one of two top contenders for the Best Player of the Conference award, along with Alaska rookie Calvin Abueva. “Game Two lang ang nasa isip ko now dahil kailangan namin itong makuha,” LA Tenorio told InterAKTV in a telephone interview a day after the Aces spanked the Gin Kings, 87-70, in Game One. LA Tenorio admits that like any other player, he would cherish an individual award, but added his only focus right now is the championship series. “Ibibigay naman yun sa deserving na player. If people think na deserve ko manalo hindi ko na iisipin na makuha yun. Kusa itong ibibigay sa akin,” he said. The award will be given on Sunday’s Game Three at the SMART-Araneta Coliseum.